Reach for a navy bomber jacket and light blue sweatpants for your boy for a comfy outfit. Blue sneakers are a nice choice to round off this outfit. 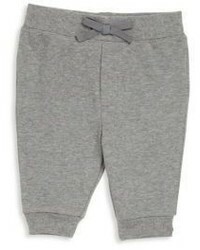 Suggest that your son dress in a black t-shirt and Ralph Lauren babys two piece striped pullover jogger pants set from Saks Fifth Avenue for a laid-back yet fashion-forward outfit. 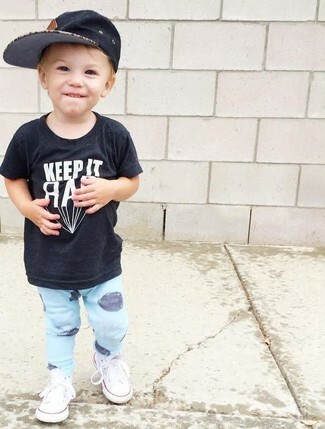 As far as footwear is concerned, let white sneakers be your tot's choice in the shoe department. 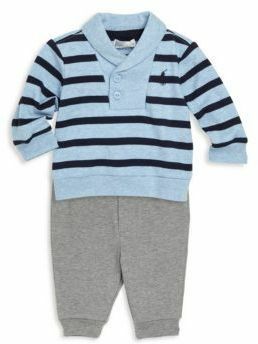 Go for a white long sleeve t-shirt and Ralph Lauren babys two piece striped pullover jogger pants set from Saks Fifth Avenue for your son for a comfy outfit. Blue sneakers are a nice choice to round off this getup.